When buying suncare, do you look for the 5-star rating? If so, then read on. The 5-star rating was introduced by Boots as part of a marketing initiative. Suncare companies that wish to sell their products in Boots outlets, or adopt the 5-star rating, have to pay a license fee to Boots. However, it is only a UK rating system; it is not recognised in Europe or globally, nor is it a part of any EU regulations or industry standard testing for protection against harmful UVA and UVB rays. Over the years, many people and even insitutions like the NHS have come to rely upon this rating system as an indication of how well a sunscreen will protect because it has been extremely well marketed by Boots as a bench mark for suncare products. In truth, it can be misleading. Sunscreens like Hawaiian Tropic, Banana Boat and even Boots' own brand Soltan, all failed a Which? survey last year after testing revealed that they did not provide the level of SPF they claimed to and yet all these products carry a 5 star rating. 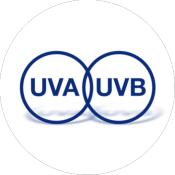 The most important symbol to look for on any sunscreen is the UVA/UVB one. Only sun protection with these symbols have passed stringent testing and conform to the strict industry standards demanded by the European Union. Techniblock does not display a star rating system because it is manufactured in South Africa. However, it does display the UVA/UVB symbol and the CANSA SunSmart Choice logo. Products that pass the stringent protection requirements, qualify for the CANSA Seal of Recognition, namely the CANSA SunSmart Choice Seal (CSSS). 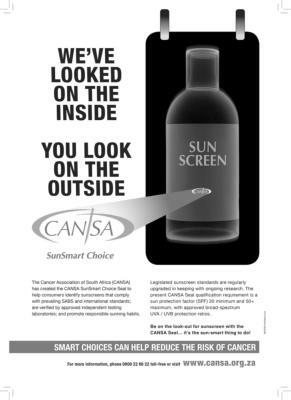 CANSA recommends chosing a sunscreen with both UVA and UVB protection and an SPF of at least 30 to 50.